Video: Voodoo 9-15-13 Sunday Gold Race from Michael Luvara | Race 5, Voodoo's Reno 2013 Sunday Gold Race Cockpit footage with telemetry overlay. 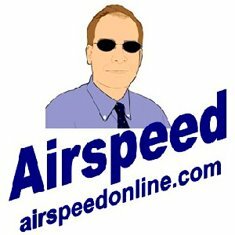 True airspeed (TAS) is on right right vertical column. GPS speed/altitude/course top left. RPM middle left, G force botto left. Note: GPS speed will have some anomalies at greater than 3 g's. Top speed was on the entry to the course. Anything higher than 510mph ground speed on the course is likely high. 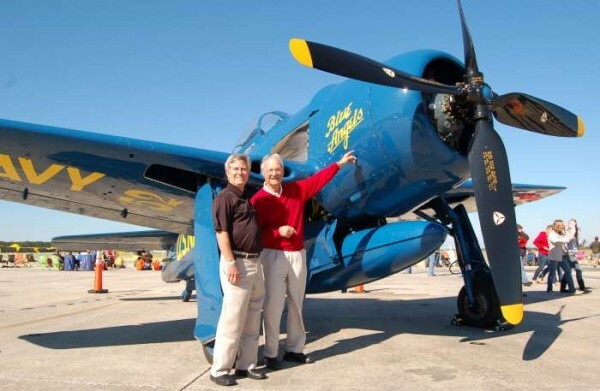 B-25 “Yellow Rose” Getting a New Paint Job · Warbirds News | Last Thursday The -25 “Yellow Rose” of the Commemorative Air Force Central Texas Wing was flown to Waco for the new paint job. Once there a crew of workers from the Centex Wing) took the control surfaces off so the paint can be stripped from the rest of the plane beginning Monday. Then the new paint will be applied. Accordingly to the Wing by the end of September Yellow Rose will be sporting a new outfit. In Pictures: Sukhoi SU-30SM - The Lexicans | The Sukhoi SU-30SM is the latest variant of the SU-30 itself a multi-role version if the iconic SU-27 Flanker fighter. These pics were taken around the MAKS 2014 air show and complied over at English Russia. 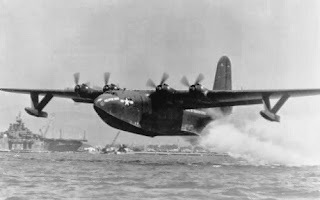 Hoot" Gibson and 232 via LiveAirShowTV | Here's what happened to Hoot in 232 at Reno. Thanks Mark Mark Magin! Oshkosh 2013 Highlight Reel · eaavideo.org | What was your favorite memory of EAA AirVenture Oshkosh 2013? Chances are you’ll see it in our just-completed Oshkosh highlights video. We guarantee you’ll watch it more than once. 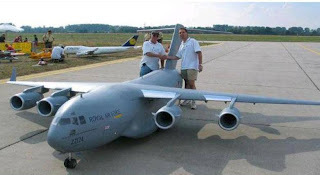 OK, that's low! - Bayou Renaissance Man | This video clip is of an Argentine Air Force C-130 Hercules making a (very) low pass over observers on the runway at that country's Marambio Base in the Antarctic. World's Largest Gathing of Future Astronauts Held at Mojave Air and Space Port, California - Spaceports | Virgin Galactic, the world’s first commercial spaceline owned by Sir Richard Branson’s Virgin Group and Abu Dhabi's aabar Investments PJS, hosted its annual private customer event at Mojave Air and Space Port in California. Deemed, “Your Flight DNA,” the occasion brought together the largest number of future astronauts to date, with approximately 400 customers and a total of 640 individuals in attendance. SACRAMENTO, Calif. – September 25, 2013 - The California Capital Airshow (CCA), presented by Sacramento County, today announced the debut of Aerojet Rocketdyne’s Space and Aviation LaunchPad at this year’s Airshow, October 5th and 6th at Mather Airport. LaunchPad is a dynamic and interactive science, technology, engineering and mathematics (STEM) enrichment exhibit targeted to teens that promotes opportunities in STEM-related fields as they consider collegiate and career choices. A progressive collaboration between the CCA and Aerojet Rocketdyne, the 15,000 square foot pavilion will allow students and their parents the opportunity to enjoy a hands-on educational experience designed to spark the interest of young adults and their involvement with STEM while helping to provide the aerospace industry with a new generation of professionals. The Nation is facing a shortage of skilled workers in STEM-related employment fields and is expected to have more than 8.6 million of these jobs in 2018 with as many as three million unfilled. LaunchPad seeks to combine students’ love of games and technology with real world application. Filled with aircraft, space artifacts, robots and an aerospace theater, guests can watch demonstrations, participate in games and experience first-hand the clear relationship between the aerospace industry and STEM studies. On display will be the NASA Mars Exploration Rover "Opportunity" full-scale model. The Opportunity Rover will celebrate its 10th year of exploration on Mars this coming January 2014, with many events planned by NASA to recognize this fact. Attendees will also have the opportunity to rub shoulders with men and women who have used their education to change the world. A 60-minute Flight Experience where you will learn what skills are required to obtain a pilot’s license and the opportunity for actual flying time in a simulator is part of the exciting exhibit. Volunteer counselors, local youth organizations and academic institutions will be available to help interested attendees understand how they can continue their interest in STEM education, including creating a school-to-career blueprint and information on how to join and pursue STEM-related fun and interesting activities long after the show. The following sponsors and community partners have generously contributed to 2013 California Capital Airshow: Sacramento County, City of Rancho Cordova, Aerojet Rocketdyne, Budweiser, Sacramento Jet Center, Kaiser Permanente, PG&E, SAFE Credit Union and Fox40. The CCA will be all things “shiny, fast and loud” for all ages and so much more! 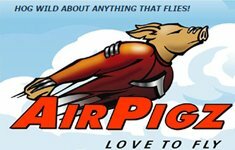 Tickets are now available online and can be easily purchased at the Airshow web site, http://www.californiacapitalairshow.com/buytickets.php. 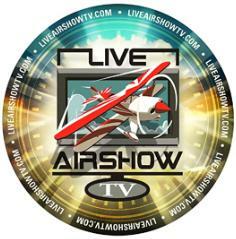 The Airshow web site will be updated regularly with news, attraction information and more. Fans can follow the Airshow on Facebook and Twitter (#calcapairshow), and now on Instragram (@capitalairshow). High-resolution images are available on the website photo gallery. Established in 2004, the California Capital Airshow has become one of the largest and highly- respected shows in the nation. As part of its community relations, the non-profit organization has awarded over 80 scholarships to deserving students from our region with an interest in aviation, aerospace, aeronautics and related fields. For more information about the California Capital Airshow, presented by Sacramento County, please visit www.californiacapitalairshow.com. Meet Maj. Tyler Ellison, Thunderbird 7, Operations Officer (2013-2014) - www.youtube.com | Maj. Tyler Ellison talks about being a Thunderbird. National Red Bull Flugtag Holds Five U.S. Events In One Day Aero-News Network | World Distance Record Shattered With A Flight Of 258 Feet In Long Beach, CA Taking off in Washington, D.C. and landing in Long Beach, CA, with layovers in Miami, Chicago and Dallas/Fort Worth, National Red Bull Flugtag, the homemade flying craft competition, made history Saturday by taking place in five cities in one day. Teaser: 2014 Selfridge Open House and Air Show - Herb Gillen Advertising's Facebook Wall | Here is a :30 teaser spot we did for the 2014 Selfridge Open House and Air Show. 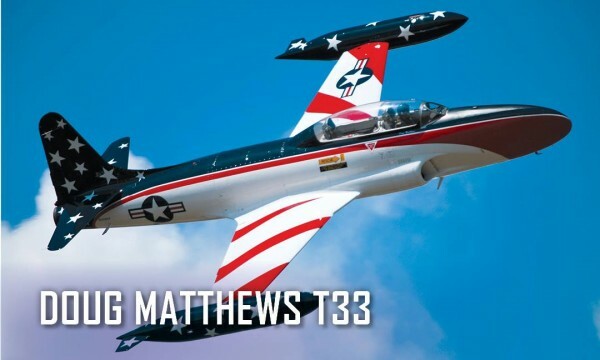 The show is scheduled to take place in September 2014 and host the U.S. Navy Blue Angels. French Pilot Crosses Mediterranean In WWI Replica Airplane Aero-News Network | Followed The Flight Of Roland Garros Made In 1913 On September 27, 1913, French pilot Roland Garros took off from Fréjus in the south of France, and flew to Bizerte in Tunisia in a Morane-Saulnier G racing monoplane. His accomplishment was re-enacted Sunday by 29-year-old Baptiste Salis, who flew an exact replica of the Morane-Saulnier, albeit with an upgraded, modern engine, 500 miles in seven hours. 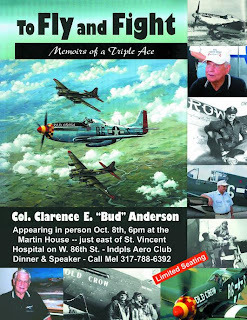 Vietnam “Welcome Home” Parade and Event · Warbirds News | This Saturday, September 28, we will finally give the Vietnam veterans the “Welcome home” they should have received 40 years ago.Beginning at 11:00 am, there will be a parade in downtown Fayetteville, including a flyover of helicopters and planes provided by the Sky Soldiers and CAF Dixie Wing. Afterwards, there will be a program of speakers and period music, as well as a tribute to our fallen, at the Southern Ground Amphitheater. 3G Aviation Media has begun a series of workshops to teach the skills necessary to pull off a successful sunset or sunrise static aviation photo shoot. The teams mission of these workshops is: To provide attendees an opportunity to learn, plan, execute and develop as photographers in a small-group environment while working with first-rate aviation subjects. Learn – Plan – Execute – Develop. Learn the skills required for your photoshoot. Develop as a photographer, learning from your experiences, both the good and the bad. 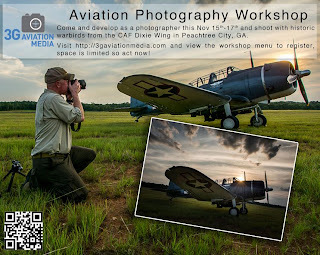 The 3G Team had started planning a series of aviation workshops for early 2014, but in April of this year, 3G Aviation Media made a connection with the CAF Dixie Wing through the International Society for Aviation Photography (ISAP). During an ISAP lunch at SUN n FUN, the 3G team first met with Moreno Mo" Aguiari, The Dixie Wing’s Marketing Coordinator, who had recently joined ISAP and was looking for photographers to partner with the CAF. After several discussions over the course of a few months, it was decided to accelerate the workshop timeline and host the first event at the CAF Dixie Wing facility at Falcon field in Peachtree City, Georgia. This November we will be hosting this fantastic learning event at the Commemorative Air Force: Dixie Wing, located in Peachtree City, GA with (4) classic WWII aircraft along with models and reenactors. The agenda is full of practical hands on shooting, classroom learning session can be found on our website 3G Aviation Media. The Commemorative Air Force was founded to acquire, restore and preserve in flying condition a complete collection of combat aircraft which were flown by all military services of the United States, and selected aircraft of other nations, for the education and enjoyment of present and future generations of Americans.The Dixie Wing was approved as the 83rd CAF unit on February 28, 1987, and has since displayed its collection of vintage World War II aircraft in numerous air shows throughout the Southeast. The wing is a non-profit, tax-exempt "flying museum" that depends on contributions of time and funds to carry out its mission. The Aviators: iTunes Season 4 Release Today! Reno Air Races: Hinton Wins!